This entry was posted in Media, Reviews on April 30, 2017 by admin. This entry was posted in Future Releases on April 28, 2017 by admin. A profitable bus tour that you can see and experience the world’s largest all-weather RC car circuit! Dr. Fumito Taki’s birth parent “Dr. Taki” will guide you as a navigator! Over 70,000 people visiting hobby every year Big event “Shizuoka Hobby Show”. In conjunction with this event, we planned a bus tour that you can experience the “Tamiya Kakegawa Circuit” which was renewed as the world’s largest all-weather RC circuit in June last year. In the morning we enjoyed each hobby show venue and departed to Kakegawa circuit by charter bus from noon. Light talk of Tamiya RC car’s creator “Dr. Taki”? Lunch time in the car while listening. After arriving at the circuit, there are plenty of contents such as a tour of the facility and powerful engine RC car race, an experience traveling society where the RC car can actually be steered, special sale corner of the RC kit etc. Participants also have big souvenirs. Recommended tour for those who want to see the Tamiya Kakegawa Circuit. Tamiya RC car’s birth parent “Dr. Taki” accompanies it! We will navigate everyone. Tamiya’s first electric R / C car, “1/12 Porsche Turbo RSR 934 Racing” that appeared in 1976, was developed, and Dr. Taki Watanabe joined the bus and told everyone that it changed the flow of the RC car so far I will navigate. Mini talk show will be held by Dr. Taki on the bus. In addition to the fun of circuit driving and the charm of RC race, development confidential story of RC car may jump out. On the way to Kakegawa Circuit you can have a good time while eating lunch. Watch a powerful engine RC car race! Please enjoy speed and sound! 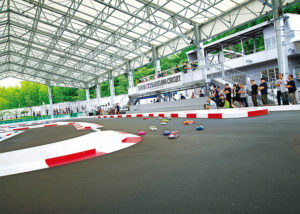 The on-road circuit boasting the largest size in Japan is capable of running not only electric but also engine RC cars. On the day of the tour, we are holding an engine RC car race at the circuit. Exhaust notes that are powerful only of engines, and machines that run long straights at high speed are abundant. Can you see the refueling scene just like a real car race? Electric & Engine RC Car Experience Running Meetings! Let’s experience running on a large circuit! On the circuit day, we prepared an RC car for experiencing driving. Choose one from three plans to suit your wishes and challenge control. 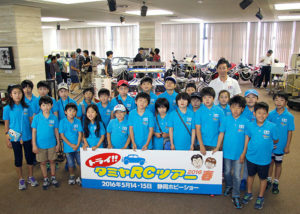 For the first experience of RC car, Tamiya staff will teach you how to control so it is safe. Please enjoy running experiences on a big course that you can not normally experience. There is also a special sales corner of the RC car kit. 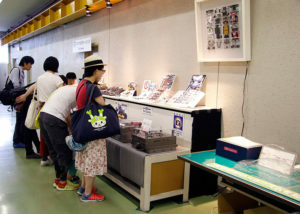 The special sales corner which the RC car kit can purchase at a great price is also opened at the venue. Please use it if you find a machine you like for future circuit running. ※ For details, I will contact you again after I participate. * Schedule will be schedule. If there is no applicant, Kakegawa station, Shizuoka station will not go through. * There are cases where lottery will be taken for a large number of applicants. ※ We will contact you by e-mail before May 9 (Tue) on whether to participate. * Cancellation after May 8 (Monday) can not be accepted for the convenience of preparation, so please make sure to confirm the schedule beforehand and apply. Those who have never been to the Tamiya Kakegawa Circuit * Those who are under junior high school students should accompany their parents. Application from the homepage →　You can enter from here. Please fill in the necessary items and send it. ※ Here are the Shizuoka hobby shows held, so the surrounding roads and parking lots are very crowded To do. Please take a moment to visit us or visit us by public transportation such as the station from Shizuoka station . There is no change in the departure time of the bus, so please be forewarned. * If you wish to visit Tamiya Kakegawa Circuit directly by private car etc., please list in the contact column. * Souvenirs will be targeted for elementary school students and above. ※ Please pay attention to your health at your own risk. Especially on the day of the event, please stop participating if you feel sick. Also, if you feel any abnormalities during participation, please do not overdo it, please stop participating promptly. ※ I will pay attention to safety management during the event, but please be sure to bring a copy of insurance certificate for your situation (Please bring it yourself during the event). * The pattern of the event is taken with still images, movies, etc. 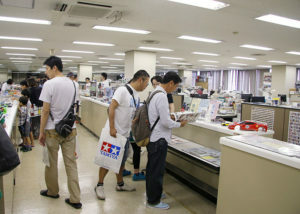 It may be published on each media related to Tamiya, such as printed matter and website. Please acknowledge your participation. ※ To prevent theft, please be sure to wear valuables. ※ Although the organizer will pay attention to accident prevention, we are not responsible for accidents, theft, injury or other damage. ※ If you can not follow the instructions of the staff, we may ask you to leave. Please note. This entry was posted in Event Report, Tamiya Company, Vintage on April 27, 2017 by admin. 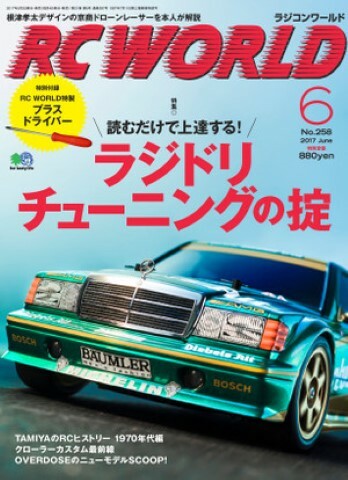 The cover page is TAMIYA ‘s Mercedes Benz 190E “Divers s Art”. Besides that, there is also content that tastes a little old Tamiya tooling car to a drift car. It’s a popular serial series “Satoshi with TRF Setting Advice”, but the machine that Mr. Sumi Sumi picked up this month is … … THE BIGWIG (2017) !!! Introduction of Tamiya’s old model which was very popular with oversized issue 256. Will introduce it by age from this month. This month is the edition of 1970! 880 yen (tax included), May 2 national bookstore is released at once! This entry was posted in Customized Builds, Media, Vintage on April 26, 2017 by admin. Today, the film company T601 made a video of the real-time projection mapping of the Tamiya Mini 4WD series. Do you feel like this in the future of the Japan Cup? This entry was posted in Media on April 25, 2017 by admin. 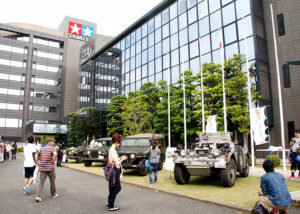 In accordance with Shizuoka Hobby Show, Tamiya head office will be made public to the public. 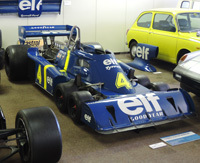 As well as the historic center exhibiting products from the age of wooden models, the lobby where the real F1 machine is displayed, as well as the in-house observations such as the design department and the mold department that you can not see in the usual way. Furthermore, it is possible to enjoy plenty of the day with plenty of contents such as production of mini 4WD, manipulation of RC, manufacturing experience of sweet decoration. ■ At the observation point, professional staff of each department will answer everyone’s questions etc. ■ For breaks, you can use the main building 5th floor dining hall. We will also sell snacks. ■ The comprehensive guide at the venue is done at the reception desk on the second floor. 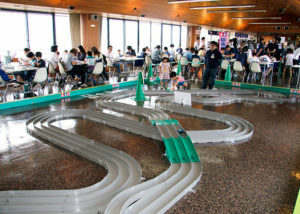 Plastic model to RC, mini 4WD · · · · · What is there to enjoy at the venue! In commemoration of the 50th anniversary of “Spielewalen Messe” exhibition, thank you for your patronage, we will release a large scale model plastic, model RC, mini 4WD etc at a reasonable price. We are looking forward to seeing what kind of products are there at the venue. We are waiting for your visit with a large selection of digging things. Spielwaren Messe is the world’s largest toy fair “Spielwerren Messe”, which is said to be held every year in the city of Nuremberg, the southern city of Germany, with a total of one million points. 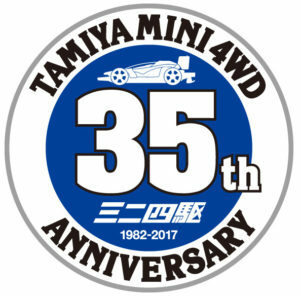 Tamiya celebrated its 50th anniversary in February this year at more than 2,800 hobby, toy and craft related manufacturers from 60 countries from 60 countries. With the long history of Spielewalen Messe, 50 years of continuous exhibit manufacturers were able to achieve the achievement of being the first company in Japan and less than 10 companies worldwide. Honda CRF1000L Africa Twin” is displayed! We exhibit “Honda CRF 1000 L”, the strongest class age adventure tour in the class, which combines technology honed with harsh rallying and advanced technology running through the vast desert. Please have a look at the popular machines that attract great attention all over the world. Cooperation: Honda Motor Co., Ltd., Honda Motorcycle Japan Co., Ltd.
1/1 Mini 4WD Aero Avante is displayed! “When you become a mini four wheel drive a real car ….” Everyone once if the fan is only one machine in the world that realizes the dream plunge you right. During the hobby show, it is on display at the Tamiya head office showroom! Please take a closer look at this opportunity. ※ 1/1 For mini 4WD actual vehicle development project, please click here. Rebruck NSX who actually fought the SUPER GT championship. 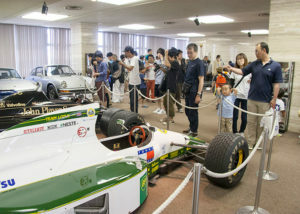 Also exhibited the former F1 machine such as Lotus. In addition, “1/1 Wahgen off-loader” which was made one-off based on 1/10 RC model is exhibited. Please take a good look. Office tour We usually visit the office where we can not easily see. Professional staff in each department will explain it clearly! Injection Molding Machine Demonstration & Mold Factory Tour Making process of plastic mold and plastic model can be seen up close. First released 200m “Great Circuit Circuit 2017”, which will be the stage of the battle of 2017 for the first time! It is! Each section including the new section “Loose Road” and “Climber Changer” is full of highlights. * Mileage is not possible. Why do not you try making authentic sweets with sweet sweet decoration even if you make it (charged) or decorate it? You can enjoy various variations with your own taste. ⇒ For details, please click here. The 42nd doll remodeling contest excellent work is exhibited. The theme is a contest with entries from a wide range of age groups, including topical celebrities, characters, historical figures and era backgrounds. RC Car Experience Tour “Try! 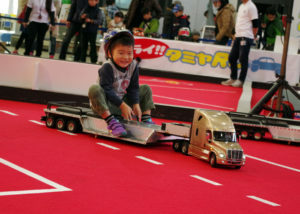 Tamiya RC” and “RC Trailer Riding Experience Corner” are held! 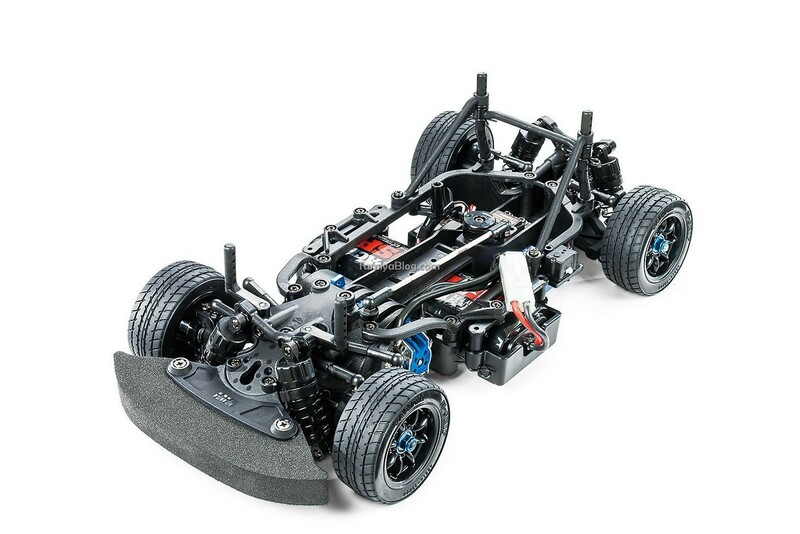 Let’s run Tamiya’s RC car thoroughly! “Try !! Tamiya RC” can challenge RC piloting with a simple mini game. Of course the machine is prepared in Tamiya. Participation is of course free. Invite your friends and join us! The RC trailer passenger experience corner can ride on the 1/14 scale RC big trailer. We will conduct trailer riding experience for primary schoolchildren and below. Please feel that the RC car is so powerful. Let’s play with remote control robots! Challenge game with popular RoboCraft series and work series including Mecha · Fug and Remote Control Boxing Fighter! Installation Make a mini 4WD kit purchased at the sales corner etc on the day and play on the spot! (We accept at any time.) The completed machine is dedicated It is possible to run on the circuit. Upon assembly, the staff will give a gentle lecture. * I will limit the running on the circuit to the machine assembled in the work class. 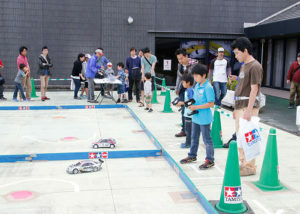 ※ There is no installation of the mini 4WD free running course. Plastic models, RC cars, mini 4WD, tool kit, original goods etc. are sold. 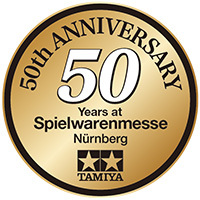 In addition, this year Tamiya celebrated its 50th anniversary at the exhibition at the world’s largest toy fair “Spielwalen Messe”. Therefore, we thank the fans who have patronized us so far and will hold “Special thanks sale”. Try !! Tamiya RC Tour 2017 Hobby Zankei’s Weekend to Enjoy with Spring and Parents !! With the TRF (Tamiya Racing Factory) staff, the assembly experience of the RC car, running at the Tamiya circuit, We planned “Hello Zambai Tri!! Tamiya RC Tour 2017 Spring” over Shizuoka Hobby Show venue and Tamiya headquarters by private bus. 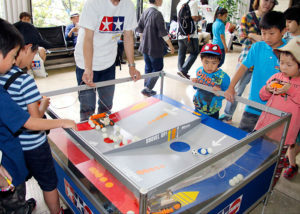 Please enjoy the RC hobby by enjoying “model world capital Shizuoka” with parents and children. ⇒ For details, please click here. · From JR Shizuoka Station North Exit 8, take the Deko line “Oka branch office” and get off at “Oka branch office”. 5 minutes on foot from the bus stop. · From JR Shizuoka station south exit line 21, take the Minami line “via gyroscope” or “via Nakata” and get off at “Oka branch office”. 5 minutes on foot from the bus stop. · When using a taxi from JR Shizuoka station, it is about 10 minutes from the south exit of the station. · When using a taxi from JR Higashi Shizuoka station, it is about 5 minutes from the station south exit. – From Tomei Shizuoka Inter, via South South Road (SBS Street), about 15 minutes. · A shuttle bus is available to visit the hobby show venue (Twin Messe Shizuoka) and the Tamiya head office. * Due to traffic jams around the venue, the time of operation may change. ※ On the day the parking lot is very crowded. Please use public transportation. ※ If parking is full, we may have to wait. * Events carried out outdoors may change the contents depending on the weather. Please note. * Event patterns are taken with still images, movies, etc., May be published on each media involved. Please acknowledge your participation. ※ The organizer will get the best attention to preventing accidents, but we can not assume the responsibility in case of accident, theft, injury or other damage. * We will pay close attention to safety management during the event, but please be sure to bring a copy of insurance certificate for a moment’s circumstances. ※ If you can not follow the instructions of the staff, we may ask you to leave. * Event contents may change without notice. Please note. This entry was posted in Event Report, Tamiya Company on April 24, 2017 by admin. We see RC cars modeled after full-size vehicles all the time. But a full-size vehicle modeled after an RC car? That’s something you DON’T see too often! Case in point, this beautiful “Tamiya Bruiser” that was on display at RCX. we’d say it’s “full size,” but it’s more accurate to say it’s “10:1 scale,” since it’s ten times bigger than the Tamiya model! This entry was posted in Customized Builds, Media, Vintage on April 23, 2017 by admin. This entry was posted in Media on April 21, 2017 by admin. 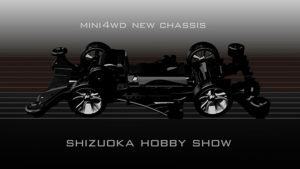 Tamiya Mini 4WD new product · event information released & FA chassis sneek peak! Mini 4WD Media Mini 4WD announced at Media Meeting & Race We will release noteworthy related news such as new products and events! Further details will be posted on May 13 (Sat) – 14 (Sun) of 2017 twin We will be presenting at the 56th Shizuoka Hobby Show to be held in Messe Shizuoka, please come. 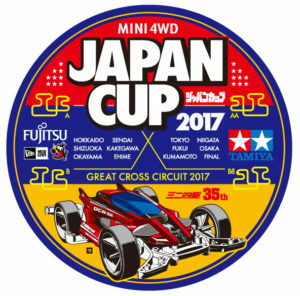 Fujitsu dry battery provided mini 4WD Japan Cup 2017 will be held again this year! 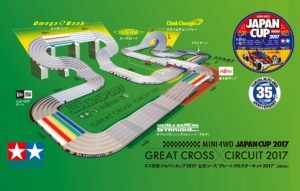 Mini 4WD Japan Cup 2017 Official course Great Circuit Circuit 2017 is released for the first time! The Great Cross Circuit 2017 with a total length of 200 m with numerous new sections arranged will cycle around 15 venues nationwide. ● New Section “Loose Road” Themiddle three lanes are gentle straight, one end lane and five lanes are a loose straight section made up of outward bulging curves. Wash walls randomly placed on the side of the course and changed to “Rocking Loose Road”. Because the course width is wider than usual, the machine is more likely to shake in the left and right direction and lateral stability is essential. ● New section “Omega Bank” TheΩ (Omega) turn which appeared in “Mini 4WD Grand Prix 2017 Spring” held from February of 2017 further evolved. A composite bank section that turns 90 degrees from the bank approach and then turns 180 degrees in the opposite direction. After climbing up the bank that arrived at angle, it is a section shaken up and down and left and right running while tilting the machine. ● New section “Climber changer”The normal changer section for lane movement is 1 lane, only one machine runs in a bank, the other four lanes are flat running, but this climber changer is a normal lane changer and Is the reverse. Four lanes, four machines traveled in the bank, and the other one lane flat. Unlike so far it is a changer section that requires further speed and power because it passes through the bank every lap. 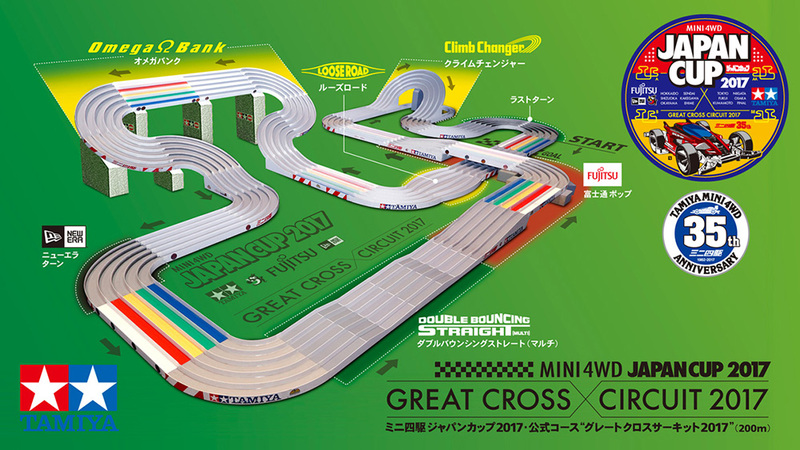 ● Other section”Double Bouncing Straight (Multi)”In the “Mini 4WD Grand Prix 2017 New Year” as a bouncing straight, in the subsequent “Mini 4WD Grand Prix 2017 Spring”, a special section wielding double as a double consisting of two consecutive “double bouncing Straight (multi) appears again. Developed four variations of the direction that turns every venue. Omega Bank, a machine that has reached top speed after going through a New Era turn and rushes into, the stability of the machine in the vertical direction is particularly important. Asection that passes through”Fujitsu Pop” and”Double Bouncing Straight” and enters the curve from the throughput of the throughput in an unstable state. The higher the speed, the higher the probability of a course out. “New Era turn” Thecorner which capped the name of cap brand · New Era which supports champion cap. It is expected that the machine will pass at high speed. “Last turn”The final corner of the Great Circuit 2017 “Last turn”. The machine that passed safely here will have a winning run. I = 14> Corner that names the cap brand · New Era that supports the champion cap. It is expected that the machine will pass at high speed. “Last turn”The final corner of the Great Circuit 2017 “Last turn”. The machine that passed safely here will have a winning run. I = 14> Corner that names the cap brand · New Era that supports the champion cap. It is expected that the machine will pass at high speed. “Last turn”The final corner of the Great Circuit 2017 “Last turn”. The machine that passed safely here will have a winning run. Four different patterns of circuit layouts appeared at each venue! 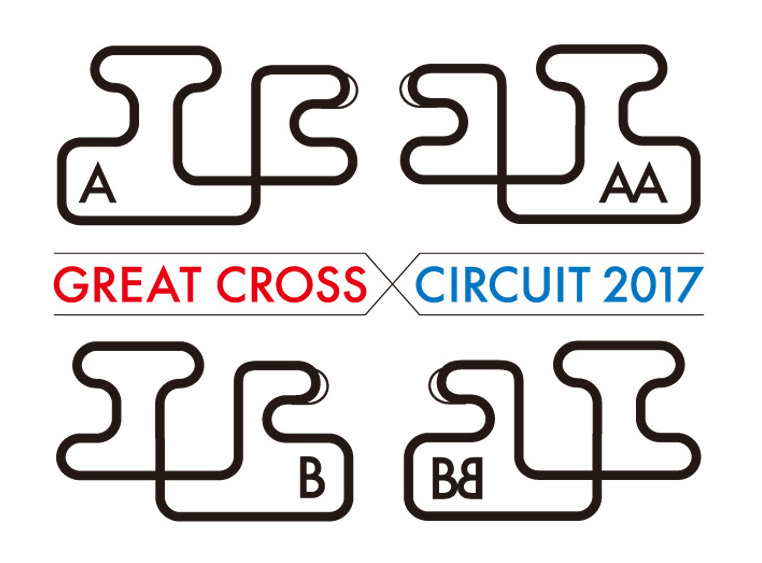 The Great Circuit Circuit 2017 which imaged the cross system is Type A (A), Type A (A) Type B (B) which crossed the lower half of Course Layout, Type A (A), Type B (B) Combined with the four circuit layout of type AA (Aimira) and type BB (Beam mirror) which inverted the course layout and “Double bouncing straight (multi)” with 4 section variations, different circuits emerge at each venue intend to do something. 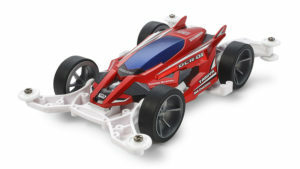 A new mini 4WD DCR-01 (DECROS-01) that extends the diversity of mini 4WD design appeared. 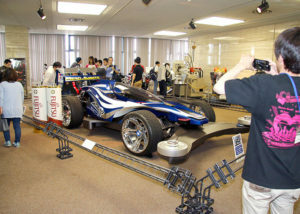 As a designer of the former Honda Institute of Technology, a mini 4WD designed by Mr. Takayaki Takayuki who also produced a lot of hit products and also handled the body design of the Tamiya RC car “Dual Ridge”. By adopting the body division method which is not included in the mini 4WD so far, you can enjoy the color coordination of personality expression with ease. 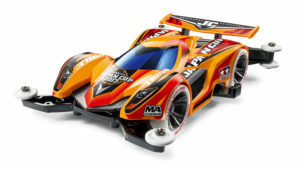 This is a special limited version based on mini 4WD TRIGATE, popular in the actual car style. The body is made of soft orange ABS resin resistant to shock, finished in a race car style design which imaged the Japan cup. Adopted a high-performance MA chassis with a double shaft motor mounted in the center of the car body. In addition to Silver color wheels of A spokes, we also set 26 mm super hard low tire with Japan Cup red print. A long-awaited new chassis (FA) appears !? Finally, that new chassis will be filled with full!? Details will be announced at the 56th Shizuoka Hobby show Tamiya booth to be held from Saturday, May 13th . Please stay tuned! This entry was posted in Event Report, Future Releases on April 21, 2017 by admin. 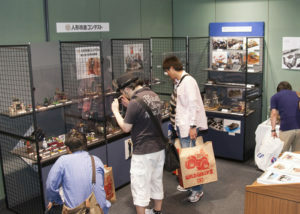 Plenty of topics, domestic largest model hobby event “The 56th Shizuoka Hobby Show”. 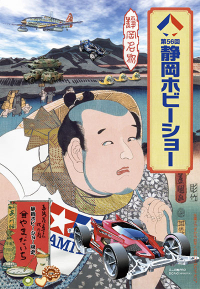 At the Tamiya booth, we will exhibit new products that will be released by summer at once. This time, attention new products are pounding in each genre! . You can take a closer look at the new product before the launch at the venue. Of course, questions and requests to explanation staff are greatly appreciated! In addition, I am looking forward to shopping at “Sales Corner” where various products and goods are available. 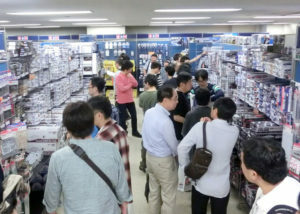 Every year the popular ” Tamiya Open House ” is held at the same time. 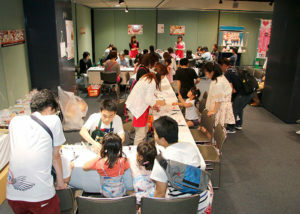 Please come along with your family for 2 days in Hobby at Shizuoka in fresh green! 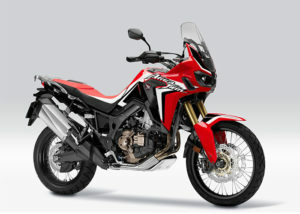 new-generation adventure tourer, popular all over the world, Honda CRF 1000L appears on 1/6 scale. Reproduce the volume full of style as it is, model the water-cooled four-stroke in-line two-cylinder engine with displacement 998 cc precisely. Complex spoke wheels are constructed by dividing spokes and rims in both front and rear. It is easy to paint differently, realizing expression of spokes with high sense of scale. ★ Length 390 mm. ★ Make heavy use of metal shafts and screws to ensure reliable assembly and strength. ★ The front and rear suspension is movable. ★ Includes two types of marking slide marks and a mask separately for painting. 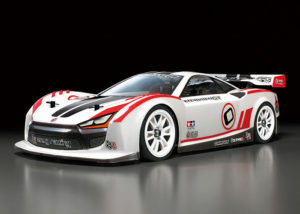 In addition, the actual car exhibition at the hobby show venue Tamiya booth is decided! . Please compare actual models and models! completed in 1943 as a new destroyer shoving the nextgeneration of the island-likeJapanese Navy is fully renovated. I modeled the figure at the final time (around November 1944). Slim hulls pursuing high speed are split left and right, upper deck also reproduces richly as separate parts. The outboard circuit on the side of the hull and the mold on the top of the deck on which the anti-skid is applied will increase the sense of density of the finish. It is an offshore model that cuts down the hull from the waterline. ★ Length 185 mm. ★ It is possible to turn with a poly cap to use the five consecutive torpedo launch tube dedicated for the island style and the 12.7 cm consecutive gun. ★ Precise finish around the bridge equipped with a wind fence. ★ Masts are also delicately reproduced. 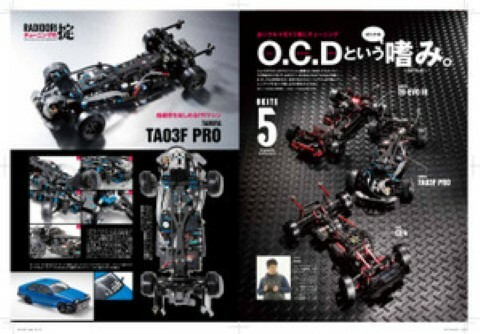 DCR-01, a new concept machine, appears in Mini 4WD PRO. Takayuki Takayuki who handled RC buggy “Dual Ridge” is in charge of the body. Futuristic mood A full body is divided into three parts and you can enjoy the open and closed body shape. In addition MA chassis is white color. I attached a large diameter low height tire to a newly designed 6 spoke wheel which finished the spoke to the limit to the limit. ★ Body color is deep pearl red. ★ Color combination can be easily done by combining optional body sets. ★ The sticker is a metal type exclusive type. ★ The gear ratio is 4: 1. This is a special limited edition of TRIGEILE with a charming full-car style. Body is made of orange color ABS resin. Metal tone dedicated sticker which arranged JAPAN CUP 2017 logo is also noteworthy. 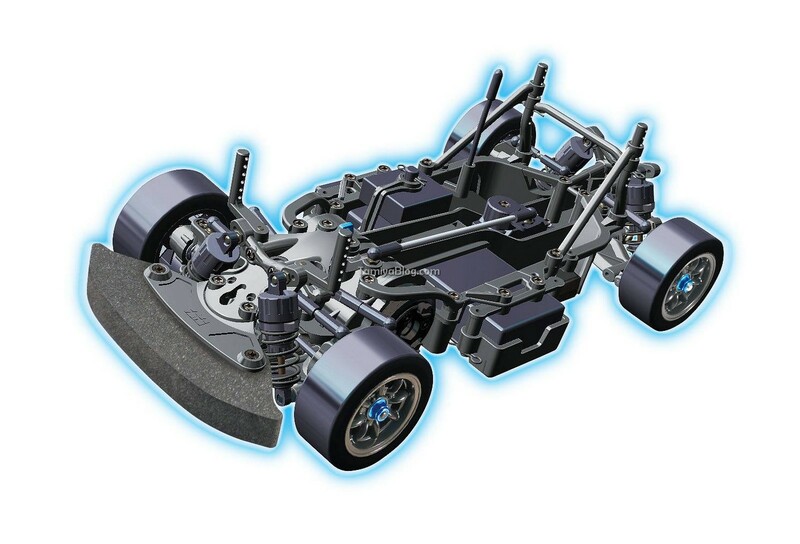 The MA chassis with double shaft motor mounted in the center of the car is black color. The white tire to be attached to Silver color A spoke wheel is hard low height type with red print. ★ A parts such as rollers, rear skid bars and gear covers are made of white colored low friction resin. ★ Rear skid bar and side stay are also standard equipment. ★ 3.5: 1 with super fast gear. This is a model that extends the pleasures of running the high bad road performance and comical finish unique to 6-wheel drive. Adopting a monocoque frame with a slim shape but high strength, use gear for power transmission. The motor is mounted behind the front axle, and the gear transmits the power to the front shaft and the second shaft. Furthermore, the gear train 6WD system which transmits power from the 2nd axis to the 3rd axis also with gears. You do not choose a place to demonstrate outstanding driving power and run. ★ Length 453 mm. ★ The body which imaged the American trailer head is made of polycarbonate. ★ It is a finish with a high sense of scale that made an air cleaner and a muffler as separate parts of the plating parts. 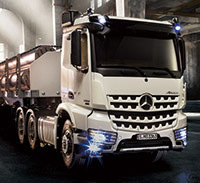 Mercedes · Benz’s next generation heavy duty truck “Arox” appears in RC. Starting with the front grill of a unique design called “bucket teeth”, it reproduces plenty of the body full of power. The car body which heavily used the metal parts is high in strength and made and satisfied enough. With the MFC – 03 unit, various sounds such as engine sound, lighting lights, and body vibration are reproduced. ★ Length 529 mm. ★ You can enjoy gear change while driving with 3 speed transmission. ★ Stick type 4 channel transmitter, running battery and charger set as well. ★ Trailer (sold separately) can be connected. High performance new design M chassis pursuing light traveling performance unique to front wheel drive and also pursuing maintenance. Adopt upper and lower split monocoque frames to ensure high rigidity. Replacement of the differential gear reduces disassembly around the foot as much as possible, accessible from the bottom. The circumference is independent of the double wishbone equipped with CVA damper. It is a special item which made long arm and linkage, and it is also characterized by wide setting width. ★ Drive system is full bearing specification. Oil-filled type gear differential, universal shaft, high torque servo saver etc. are standard equipment. ★ 225 mm, 239 mm, two types of wheel base can be selected. ※ The picture is an image under development. It is different from product specification. Every year in the southern city of Germany, the world’s largest toy fair “Spielwalen Messe” held every year in Nuremberg. 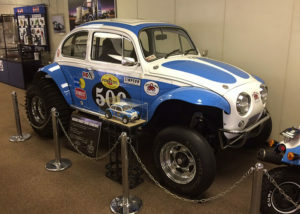 Tamiya celebrated its 50th anniversary in February this year at this fair. With the long history of Spielewalen Messe, 50 years of continuous exhibit manufacturers were able to achieve the achievement of being the first company in Japan and less than 10 companies worldwide. In commemoration of this, we will perform various special exhibitions at the Tamiya booth. Please expect it. At the hobby show venue, Tamiya sales corner, we offer a variety of attractive products. Please stop by. We also sell it in the Tamiya Open House venue. The SDF vehicles will come ! Powerful Self Defense Force vehicles are coming to Twin Messe Shizuoka! As opportunities to see usually are few, this opportunity can not be overlooked. because there are times when you want to change or withdraw the exhibition by ※ convenience, in advance Please note. ※ The image is of 2016 year. Hobby Show Open Tamiya Headquarters on the public release day. Professional staff at each department will answer your questions. 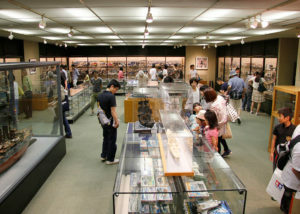 In addition to the historic center exhibiting products from the era of wooden models and the lobby where real car racing machines are displayed, in the halls, attraction corners such as artificial plazas and mini 4WD courses and “50th anniversary of Spielewalen Messe Tamiya exhibition · Special thanks sale “also held. Please come and enjoy your family. ■ The pattern of the event is taken with still images, movies, etc. 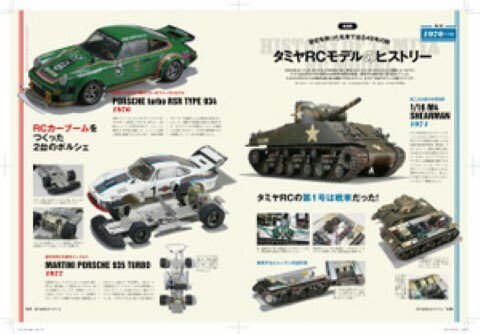 It may be published on each media related to Tamiya, such as printed matter and website. Please acknowledge your participation. ■ The organizer will get the best attention to preventing accidents, but we can not assume the responsibility in case of accident, theft, injury or other damage. ■ Please refrain from drinking in the hall. Also, those who did the troublesome acts of other customers or those who do not follow instructions of the staff may be sent out. Please note. This entry was posted in Event Report, Future Releases, Tamiya Company on April 21, 2017 by admin.